So I'm like super excited. This weekend - after what seemed like the eternal winter - we finally were able to get out the patio furniture. I know! I know! The back patio is pretty much the reason we bought this house exactly three years ago. It totally expands our living space from the spring through the fall and I am uber excited that the snow has finally melted and we got...wait for it...a 79 degree day on.a.weekend! 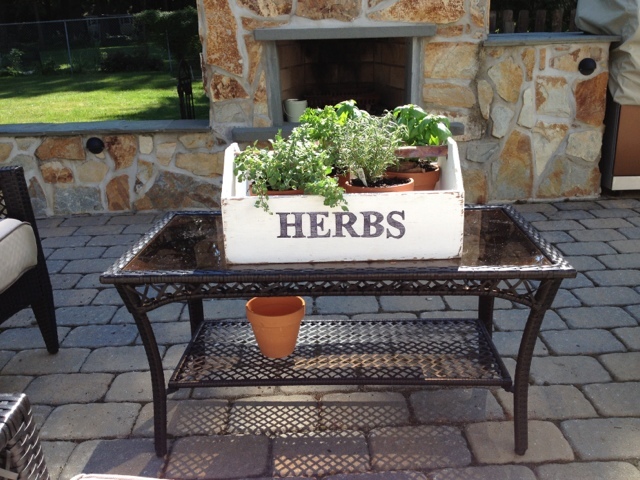 Here's a little patio tour of the bare space. See why we love it? The patio table and chairs on the far left side are 9 years old and have gotten a little 'ehhhh' for my taste. I don't like the glass top table, the chairs need a major overall, and the umbrella is just not cutting it. I'd like an umbrella that is either bigger or easier to tilt. When the sun is setting in the evening the glare is so bad that no one wants to sit at the head of the table or they risk going blind from the sun. Without a tilting umbrella it's near-torture...at least that's what my husband says since I always claim the seat where my back is to the sun :). The area in the middle, in front of the fireplace, is my favorite spot. That furniture is only about 3 years old and it's in relatively good shape. However, I would like to anchor the area with a rug and add some color and comfiness (is that a word?) by putting some throw pillows on the chairs and couch. I found this green and white lattice indoor/outdoor rug at World Market and it's inspiring my whole color scheme for the patio. So fun and bright..and the timing is perfect since World Market has all their outdoor items on sale for 14% off now through April 27. Wanna know a secret? I'll share my discount code with you just because that's how happy spring makes me: SUNSHINE. There's also free shipping on Outdoor Throw Pillows ! So I may just have to settle for the umbrella lights and call it a day night. 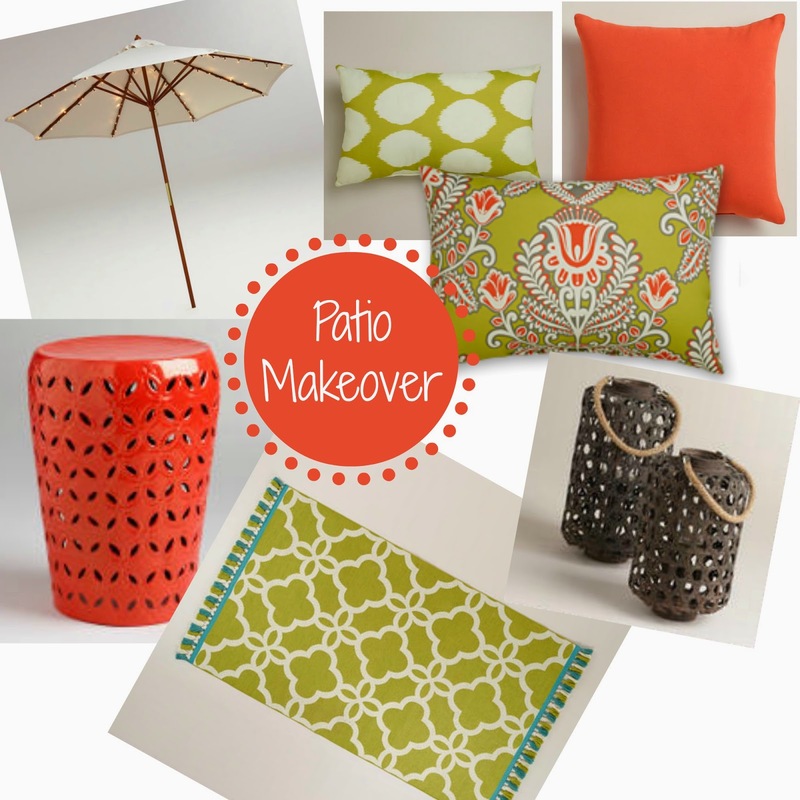 I can't wait to get started with my mini patio makeover. 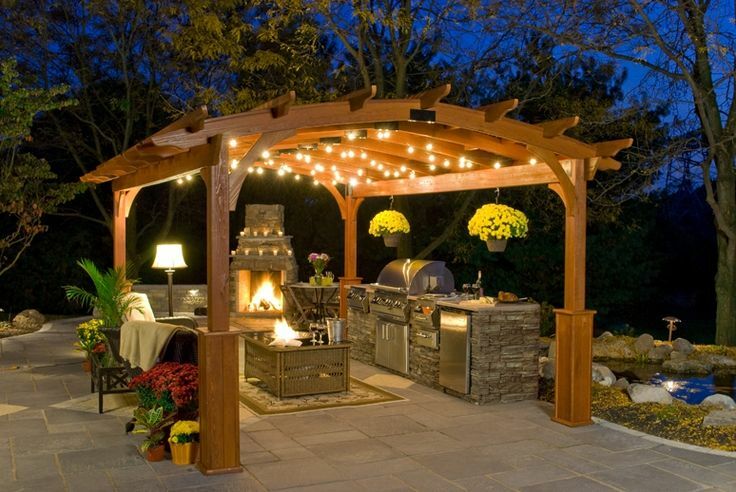 What plans do you have for your outdoor space this year? I'd love to hear from you in the comments section below. NOTE: This post contains affiliate links. By clicking on them you're not paying a penny more to shop. You're simply helping to support Two it Yourself. It's a win win for everyone - I share the awesome discount codes, steals and deals with you and I earn a very small percentage of any sales.